Application Programming Interfaces (API) enable the exchange of information rapidly and securely between different systems. For example, this might be automating the transfer of data between an organisation’s ERP and its bank, or streamlining the exchange of information between internal systems, perhaps replacing batch processing with real-time information. APIs can be ‘private’—restricting access to certain users within the organisation—or they can be ‘open’, providing access for third parties. In finance and treasury, private APIs may be used to map data from an organisation’s ERP system to its cash forecasting system, or integrate cash flow information, such as FX cashflow or interest and capital payments on loans, from the treasury management system into the cash forecasting software. Partner APIs allow trusted third parties to access a subset of data which they then integrate into their own applications. Examples include OANDA’s Exchange Rates API enhances visibility of the FX market, helping OANDA customers mitigate risk, reduce currency exposure and improve cash flow. Generally, across the financial services sector, there is strong interest in APIs’ potential to facilitate new services. Success stories include fintech trailblazer Stripe—the technology company founded by entrepreneurs John and Patrick Collison—which provides APIs that web developers can use to integrate payment processing into their websites and mobile applications, avoiding the pain of having to develop their own payment solutions. In another example, HSBC US Commercial Banking is launching a Digital Partner Platform through a series of APIs, beginning with one designed to digitise commercial on-boarding. This will allow companies to directly apply for commercial banking accounts online through the digital properties of HSBC or its partners. Throughout 2019, HSBC plans to expand the platform to allow cross-border account opening across select international markets while giving partners the ability to participate in the ecosystem. In Europe, the introduction of the new Payment Services Directive (PSD2) which requires banks to publish open APIs by September 2019 is opening up opportunities for innovation and product development. It allows third party providers to access customers’ financial data (with the customer’s permission) in order to offer new services. For consumers, the expected benefits include greater product choice and enhanced security. Simple, practical advantages will be being able to view information from more than one bank through the same interface. Recent Deloitte research in the UK found consumers are open to accessing banking services via a third-party interface from a non-traditional provider; of consumers with a mobile banking app, 49 per cent would trust a digital payments provider to provide this, while 43 per cent would trust a traditional retailer to do so. For finance and treasury teams, these new APIs will permit real-time information to be integrated into treasury processes simply, quickly, and cost-effectively. Potential applications will be found in across many functions—from payment processing, to forecasting and risk management. Already, through ease of implementation and by facilitating collaboration, APIs are the building blocks on which much innovation depends. The range and diversity of organisations providing access to subsets of their data via APIs is proliferating, matched and sometimes outpaced by customer demand. 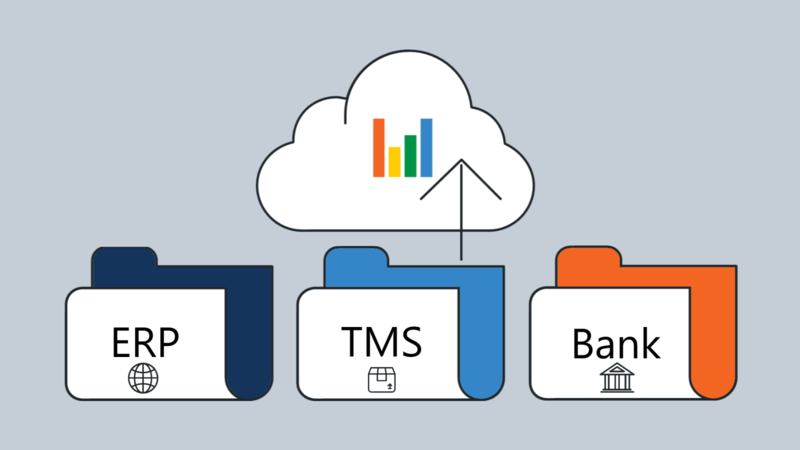 For finance and treasury teams, where data is often stored in many different systems, API’s modular approach which allows easy, fast and cost-effective data sharing can eliminate duplication, enhance accuracy and provide better data on which to base forecasts and insights. By enabling a growing suite of tools to work together harmoniously, APIs are already accelerating agility. For finance and treasury teams, the question therefore is not whether you should be using APIs, but how. As a dedicated cash flow forecasting software provider, CashAnalytics uses APIs when helping our clients to automate their cash forecasting and liquidity reporting processes. Using APIs to instantly and automatically extract the data required for cash forecasting and liquidity reporting means that the administrative burden is removed from the process, enabling treasurers and finance managers to focus on higher value analytics activities. If you would like to see a demonstration of our software, while we run through the details of how the automation process works in practice, please contact us directly.